The system that turns heads. 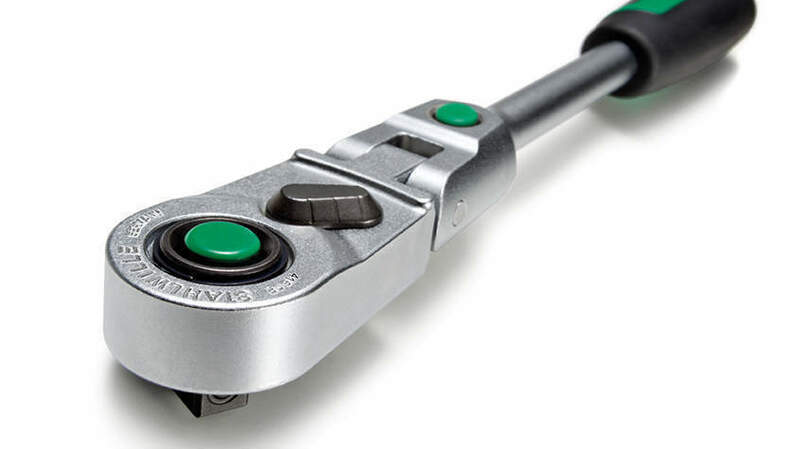 In launching its new generation of fine-tooth flexible-joint ratchets, STAHLWILLE is introducing efficiency and ergonomics into every installation space. 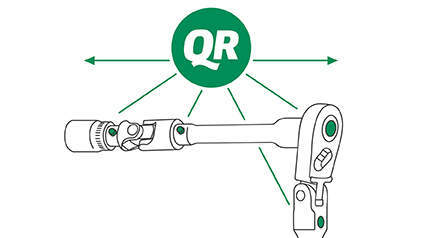 The completely redesigned 416QR, 452QR and 517QR ratchets can be swivelled through a total of 90° with intermediate locking positions, which makes them adaptable to every individual fastener – ideal for round-the-corner fastener tightening. The flexible-joint head uses the same simple operation as the normal QuickRelease, simply press the green button! 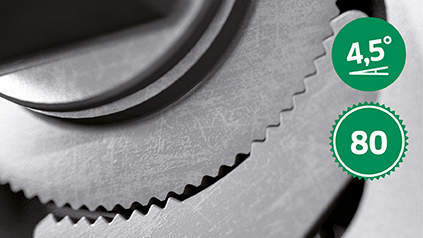 As one would expect, all the models incorporate STAHLWILLE's own 80-tooth ratchet mechanism, which withstands high loads and provides a tiny ratchet angle of only 4.5°. Durable premium quality – "Made in Germany". The QuickRelease technology ensures tools cannot be inadvertently lost – while enabling rapid, safe tool changes.